LONDON. – Mesut Ozil’s days at Arsenal appear to be numbered with Turkish soccer giants Fenerbache primed to make a shock move for the midfielder in January. The 29-year-old’s long-term future at the Emirates Stadium looks uncertain, having so far failed to demonstrate the work ethic Unai Emery demands of his players. Ozil signed a new contract worth £350 000 a week at the end of last season, but has not been delivering the kind of performances Emery and the Arsenal fans would have hoped for this season. 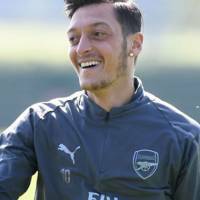 Fenerbache have now emerged as shock frontrunners to sign Ozil in the January window as they look to capitalise on the uncertainty surrounding his future. According to Turkish news outlet Fotomac, Fenerbache are leading the chase for the midfielder with Manchester United also understood to be monitoring his situation. It is unclear whether or not Ozil would consider a move away from Arsenal despite his relationship with new boss Emery coming under strain in recent weeks. Reports suggested the two embroiled in a training-ground row after Ozil became aware he would not been starting in last month’s win over West Ham, though Emery insisted the reason he played no part was due to illness. The former Germany international is also understood to be unhappy by Emery’s persistent desire to use him from the right-hand side as opposed to his preferred No 10 role.